The Grape festival was founded in 2010 by a party of friends. The original idea was to create a small-sized festival for approximately 2000 people in the pleasant environment of the town Pezinok known for its tradition of wine production. That's where the name of the festival - Grape - comes from. To differentiate itself from other same-sized festivals, the aim from the beginning was to include one to two small foreign acts in the lineup and to slowly build a small but European level kind of a festival. This plan began to deviate right at the start with the booking of the first foreign act. For the first time in Slovakia, Grape managed to book Norway's Röyksopp. The consequent bookings of The Subways and Parov Stelar only confirmed that the path of the festival will be different than originally intended. Another change of plans was the festival area itself. 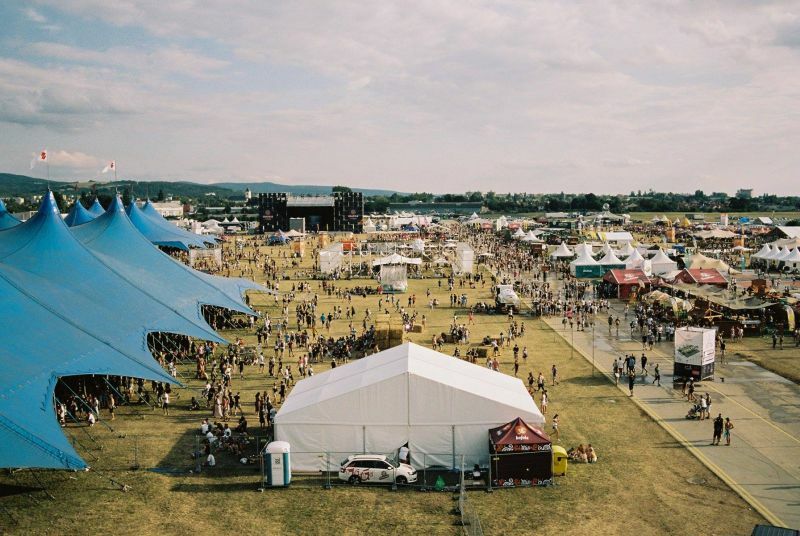 In the end, the festival site moved to the Airport Piešťany. This proved to be a genius solution and an important step for the future development of the festival. The beginnings were hard, as it wasn't easy to get financial support for the new event. Most people worked for free and at the expense of taking vacations from their regular jobs to be able to help run the festival and make it work. After the success of the first year, the interest in the festival began to grow and so did the event itself. Starting at the visitor count of 6000 in the first year, the audience number began to grow by 1000 for every following year. Due to its rising popularity, the festival was listed in the TOP 10 Small-Sized festivals in European Festival Awards in 2012 for the first time. Grape gains popularity not only due to the lineup but mostly because of its focus on many details that create the whole unique package. Leading Slovak architects participate in creating the festival area each year. In unity with the production team, they look for opportunities and make adjustments to improve and provide new experiences for the visitors. Thanks to cooperation with sponsors and artists, visually engaging zones appear every year that accentuate the visual of the whole festival. Since its fourth year, there's also the optional dress code that reflects the theme of the festival designated by the organizers each year. In 2014, the festival was listed in the Top 10 Small-Sized European Festivals again and raised its capacity to 15 000 visitors. The number of stages, both big and small raised to eight. All following years had been sold out with the capacity being 20 000 visitors. Thank you for your trust, we believe, that we will be having fun together for another 10 years.